It's all about eye lashe extensions. 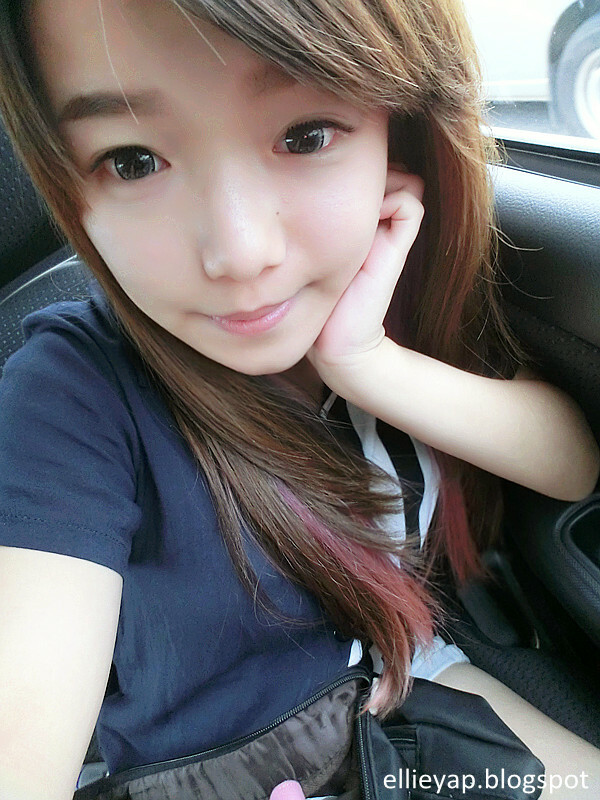 I just did my eye lash extensions few days ago at Pink Passion. It was my first experience there. 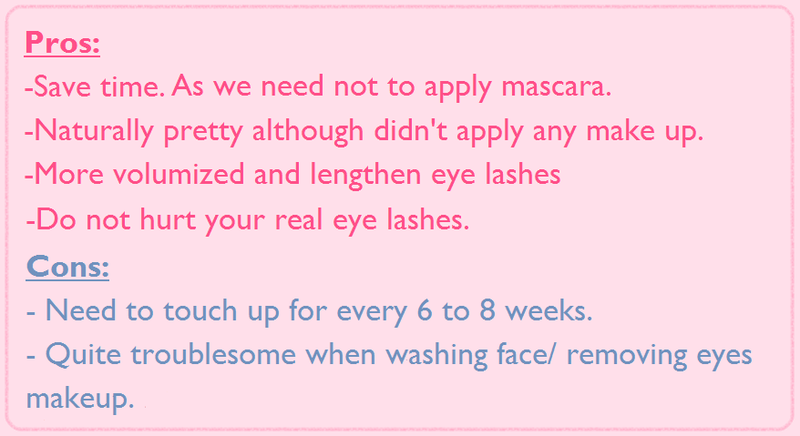 "Eyelash extensions are any number of enhancements (synthetic eye lashes) designed to add length, thickness and fullness to natural eyelashes." Once selected the length and type of lashes you want, the lashes are applied one at a time using a specially formulated, semi-permanent glue that will not irritate the eye nor damage the natural lash. Usually applying a full set of lashes takes about two hours, yet in Pink Passion they took only 45 minutes. Nowadays woman like us are all having some kind of hustle bustle life, for some of us, making up has been a part of daily routine, yet we barely have enough time to curl our own eye lashes and applying mascara, indeed applying fake eye lashes took some time as well. We need to cut it in size and adjust it in position or even waiting to dry after applying the adhesive glue. 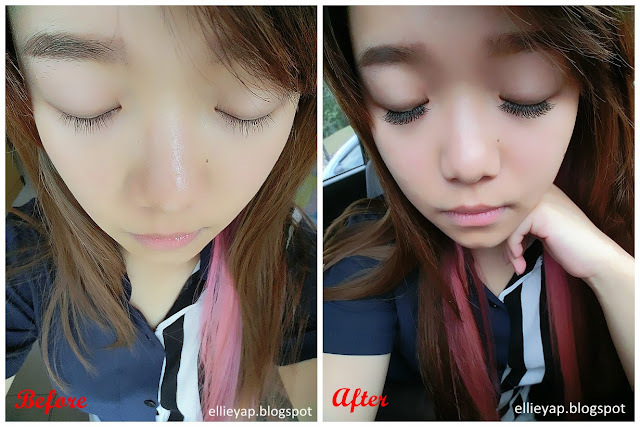 It's quite tiring for me to apply falsies every day as I really have few strands of real lashes, and so I went for lashes extension. 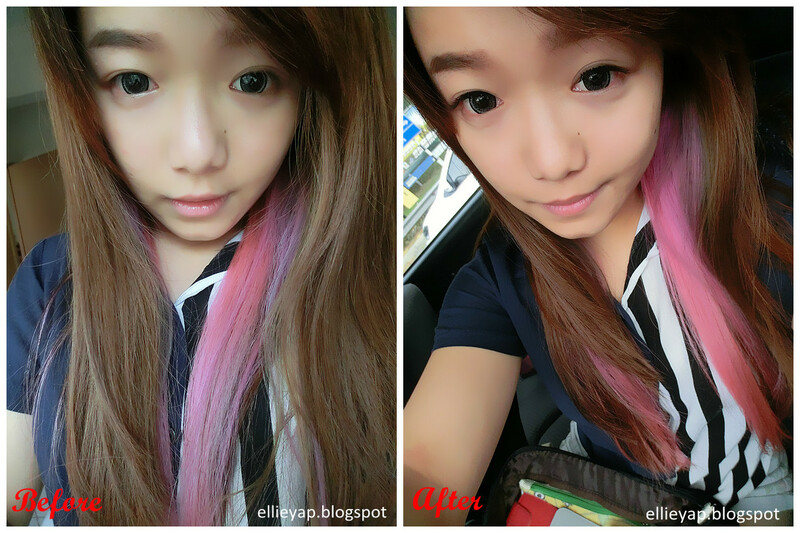 Here's a picture of before and after the lashes extension. By the way, this is how I look when I open up my eyes. So damn natural. The extensions are weightless and quite comfy for me as I requested to apply the extensions further a bit from my inner corner of my eyes. For my readers, leave me a comment if you are interested, you will get a cheaper price on eye lash extensions at RM88 instead of RM228 (Normal Price)! First come first serve basis hehe! For more info, visit them online.